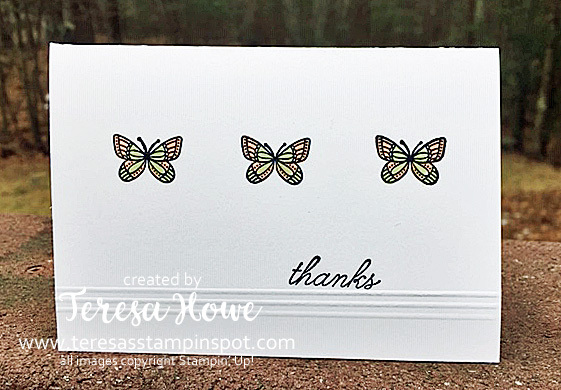 I used the Stamparatus to align the butterfly from Butterfly Gala and stamped in StaZon Jet Black ink. 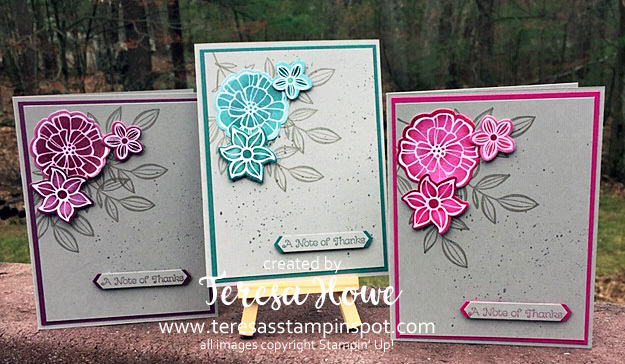 They are then colored with Petal Pink and Soft Sea Foam markers for a subtle look. 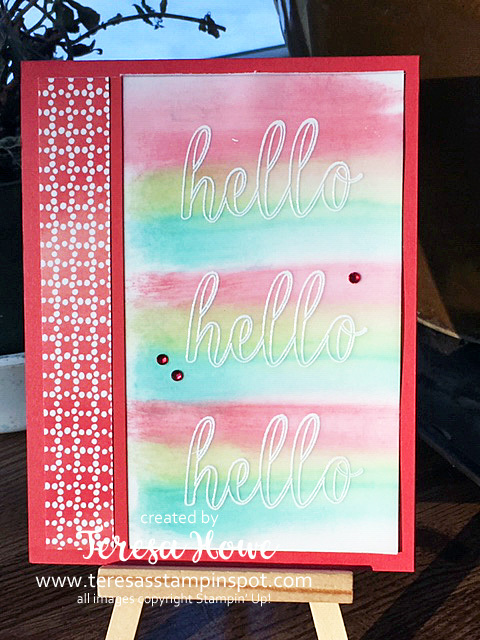 To add interest to the card, I used the Simply Scored board to score 3 lines about 3/4″ from the bottom. 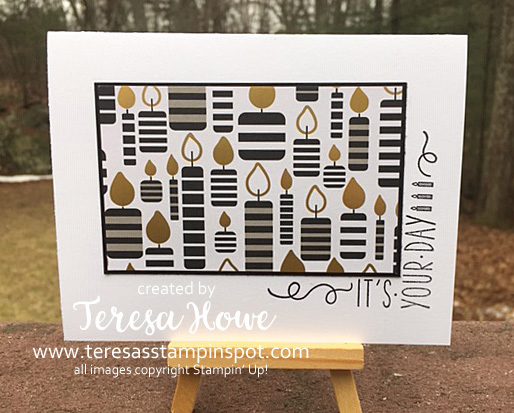 The sentiment is from Beauty Abounds and also stamped in StaZon Jet Black ink. 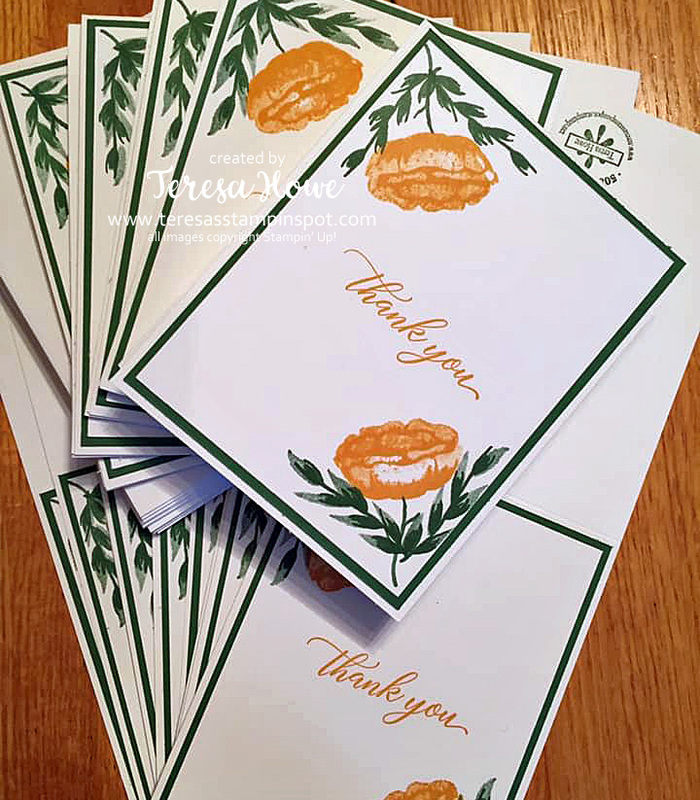 While this is a very quick and simple card, it is still very pretty and the note card size – perfect for a quick thank you. If you haven’t tried our Note Cards and Envelopes – perhaps this will inspire you to do so. Hi! 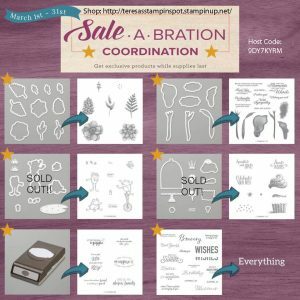 I have a card to share with you that is a little out of the norm. 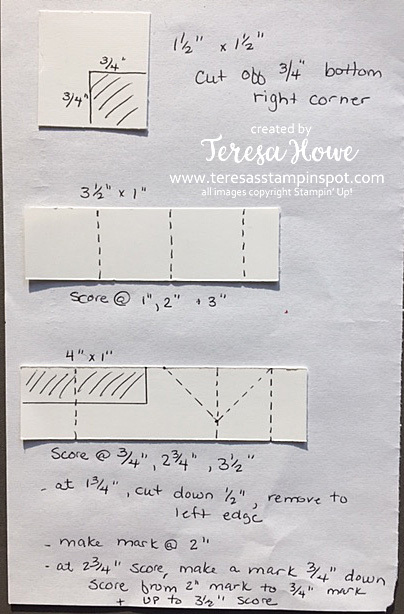 I did share how I made it on a recent Facebook Live and some liked it and some maybe didn’t. 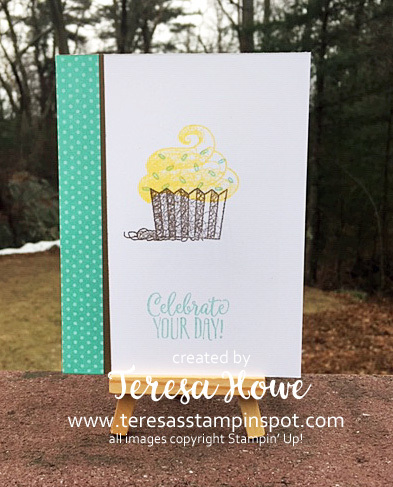 I do like the color combination of Blueberry Bushel and Granny Apple Green – just not sure Crumb Cake is the best color for the background. 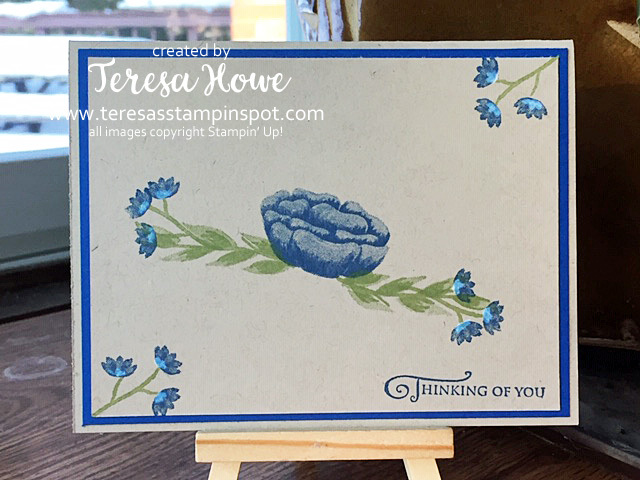 This card features the Incredible Like You stamp set. Do you love the detail in the flower? 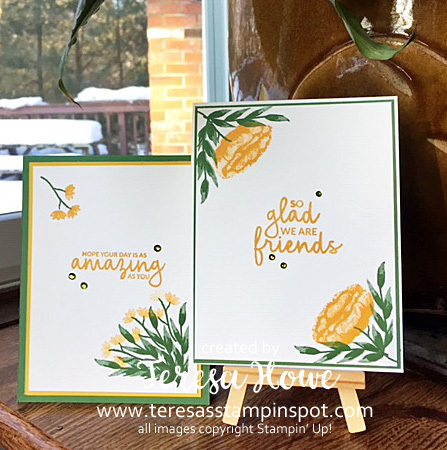 While this is a 2-Step Stamping set – it is also a DistINKtive stamp set which allows for one ink color to take on different shades as seen in the leaves and main flower above. I LOVE this look! 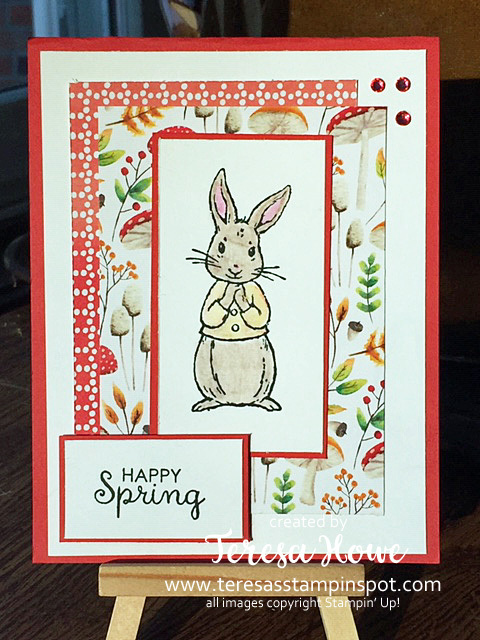 To give the card a little more flair, I added a touch of white at the base of the small flowers using the Chalk Marker. So, what do you think? Like it? Yes or no? Be honest – (but kind, please). 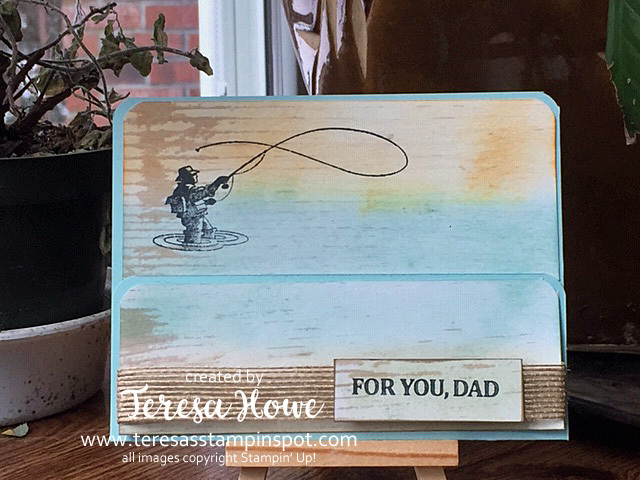 I’ll have a more traditional card using this set a little later in the week. 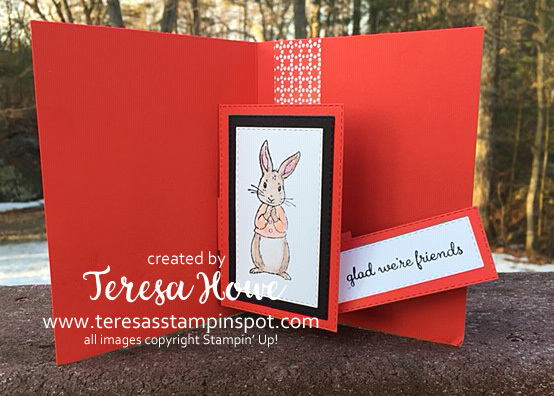 Author TeresaPosted on March 6, 2019 Categories CardsTags 2019 Occasions, Facebook Live, Thinking of You3 Comments on Yes or No?